The power of electrochemical measurements in respect of thermodynamics, kinetics and analysis is widely recognized but the subject can be unpredictable to the novice even if they have a strong physical and chemical background, especially if they wish to pursue the study of quantitative measurements further. Accordingly, some significant experiments are perhaps wisely never attempted while the literature is sadly replete with flawed attempts at rigorous voltammetry. 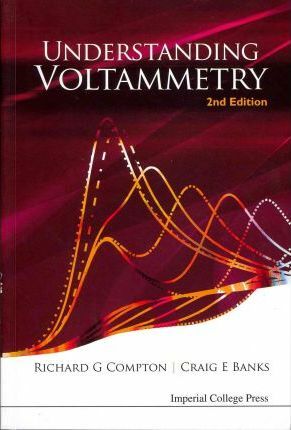 This textbook considers how to go about designing, explaining and interpreting experiments centered around various forms of voltammetry (cyclic, microelectrode, hydrodynamic, etc.). The reader is assumed to have attained a knowledge equivalent to Master's level of physical chemistry but no exposure to electrochemistry in general, or voltammetry in particular. While the book is designed to 'stand alone', references to important research papers are given to provide an introductory entry into the literature. In comparison to the first edition, two new chapters - transport via migration and nanoelectrochemistry - are added. Minor changes and updates are also made throughout the textbook to facilitate enhanced understanding and greater clarity of exposition.